The Road Safety Authority (RSA) announced last October 2016 some changes to the Driver Theory Test. Questions on drinking and driving will be added to the Driver Theory Test for the Motorcycle, Car and Works Vehicles Driver Theory Test. This is in direct response to a report issued by the RSA earlier this year which showed that drink-driving is still a significant road safety issue, particularly among some young people. The main Driver Theory Test Question Bank will have 17 new questions on alcohol and driving. Two of these questions will be presented in the tests. The overall format of the test will not change. Learning material on the new questions is available at www.theorytest.ie . The RSA Pre-Crash Report on Alcohol showed that between 2008 and 2012, alcohol was a factor in 38% of fatal collisions, claiming the lives of 286 people. 43% of drivers killed who had consumed alcohol were between 16 and 24 years old and 57% of motorcyclists killed who had consumed alcohol were between 25 and 34 years old. 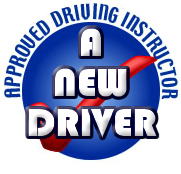 Candidates are advised to use the current versions of the supporting learning materials – The Official Driver Theory Test, Book and CD, 5th or 6th Edition – in addition to the PDF with information on the new section related to drink-driving. The PDF is available on www.theorytest.ie and www.rsa.ie. Those wishing to book a Driver Theory Test are reminded that the official booking website is www.theorytest.ie .See the list of additional questions here .